We all know we should be getting more fruits and veggies into our daily diets. 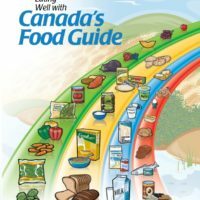 So, to make it simple, Canada’s Food Guide recommends filling your plate with one fruit or vegetable at every meal and as a snack to help you get the amount of vegetable and fruit you need each day. One of the easiest, healthiest and most delicious ways to get a daily serving of fruit is to think Blue – Frozen Fresh Wild Blueberries. Add them to your morning cereal, toss them into pancake or muffin batter, sprinkle them on salads, or start your day with a Wild Blue Smoothie. 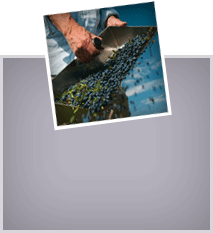 Visit the Wild Blueberry Recipes pages for more ideas. 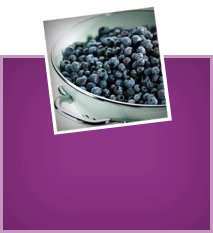 Frozen Fresh Wild Blueberries have more of the antioxidant goodness you need to power up your healthy diet. They’re easy to use right out of the freezer and you’ll find them year-round in your grocer’s frozen fruit section. They’re just as nutritious as fresh and may even retain their nutritional value longer.